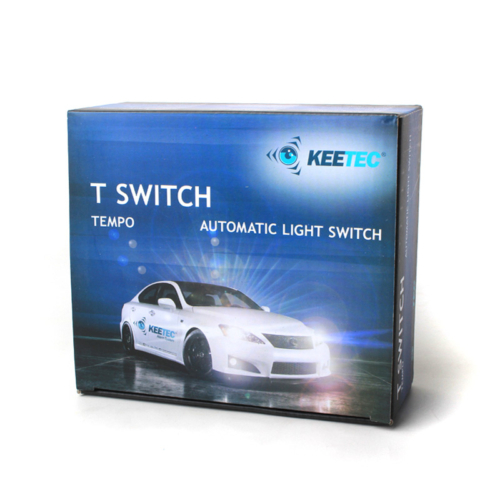 T SWITCH module provides automatic lights switching on (parking and low beam lights) after starting the vehicle. Its advantage is simple construction, maintenance-free operation and easy installation into the vehicle. 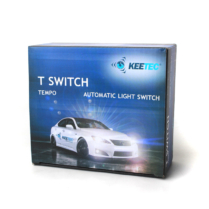 It is connected to the vehicle’s light switch in parallel, the switch remains in the off position when lights are switched on automatically. T SWITCH has a convenient “Coming home” feature. It also has an input for automatic disconnection of low beam lights when turning on high beam lights (H4 bulbs). 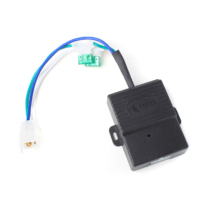 Coming home function: this function ensures that the low beam lights remain turned on for 30 seconds yet when the vehicle is unlocked / locked (requires connection to car alarm or central locking). If you turn on the ignition before this period, the lights will turn off automatically.